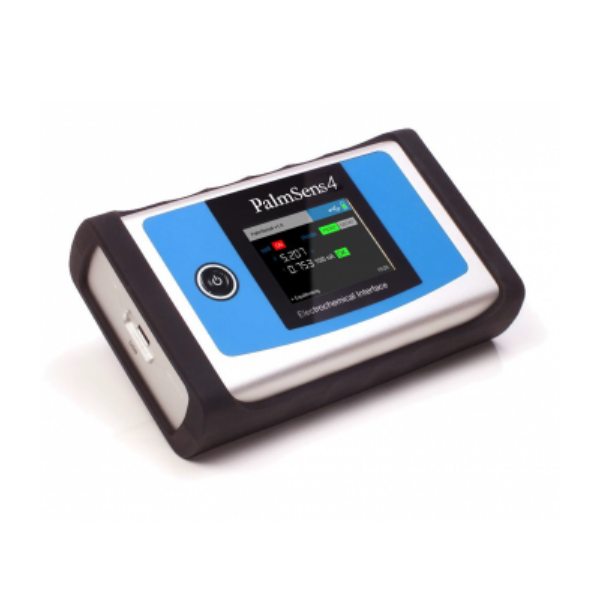 PalmSens4, is a USB and battery powered Potentiostat, Galvanostat, and optional a Frequency Response Analyser (FRA) for Electrochemical Impedance Spectroscopy (EIS). The PalmSens4 has a large potential range (-5V to 5V or -10V to 10V) and current range (100 pA to 10 mA) with a high resolution and low noise. This instrument is a complete laboratory instrument but its compact and rugged design makes it also ideal for field work.